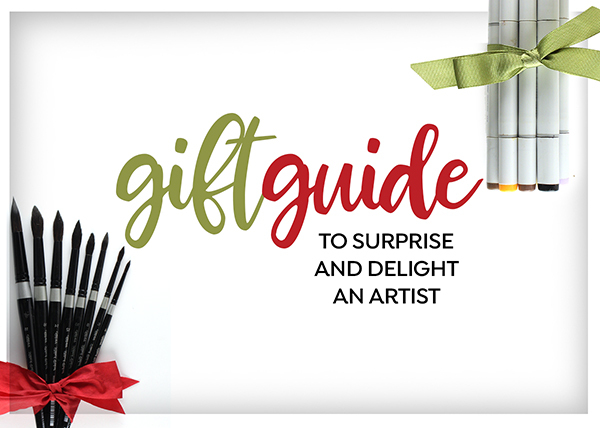 Rather than give my followers things to shop for….this Gift Guide to surprise and delight an artist is aimed at those who love to support the artist in their life with treats to surprise and delight them on Christmas morning! The video is a little longer than I hoped, and I didn’t include everything in it – but there’s plenty of info in this post. Artists: if you desire to give Santa a hint, share this post – and select the image for the category you’re hoping to fill your stocking! Each section below contains an infographic in case you need to know what some of the items look like; and a link list of the items to make shopping as easy as possible! 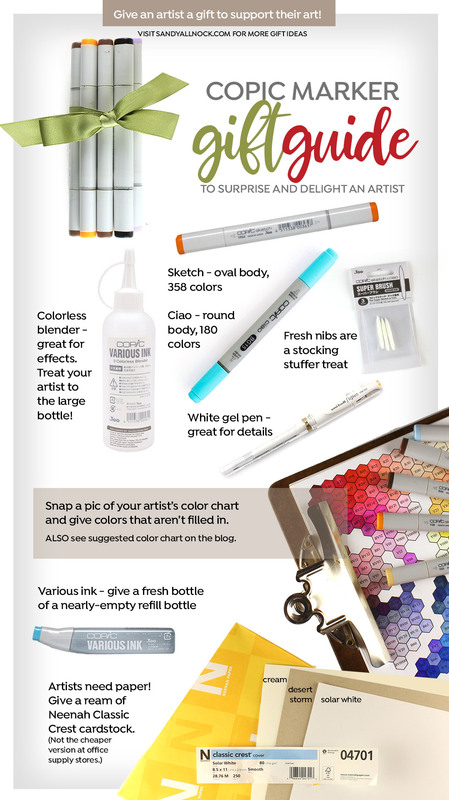 Stocking stuffers for each type of artist are called out in that list…and I do hope this makes the gift season go smoothly for everyone! Watch the video below or click HERE to see it in HD on YouTube. These are high-quality alcohol markers, with a scheduled price increase in 2019 of about $1 per marker. They’ll make a great gift! Don’t be tempted to try the cheaper knockoff markers; they’re nothing like this brand and don’t perform well. Really. Believe me. 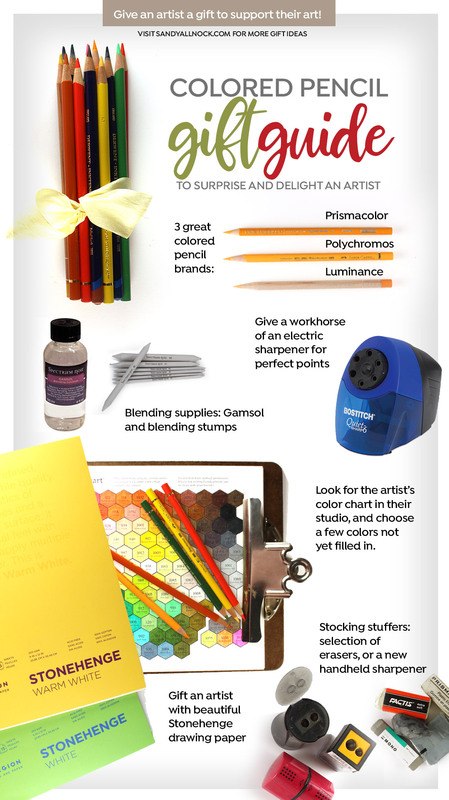 My color recommendations are HERE, but be sure to compare my chart to your artist’s collection! Hex Chart – order it to be sent to yourself, print it and wrap it up for Christmas morning! 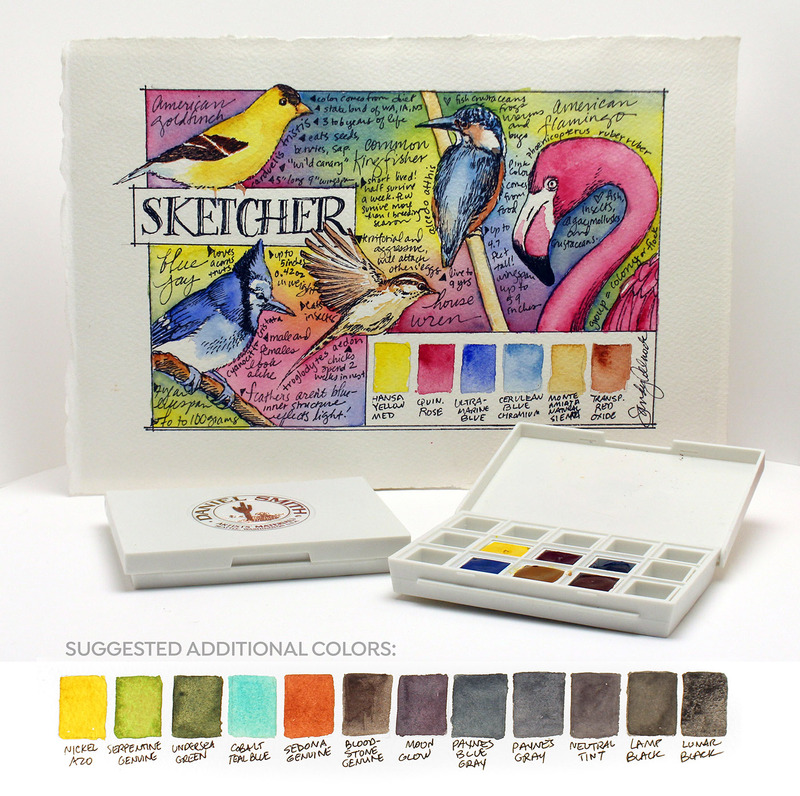 Copic Classes available at art-classes – if you want to give a class and not have them get the notification yet, order on Christmas Eve or Christmas morning. Or order as if sending to YOUR email address, then send them the gift card code later. 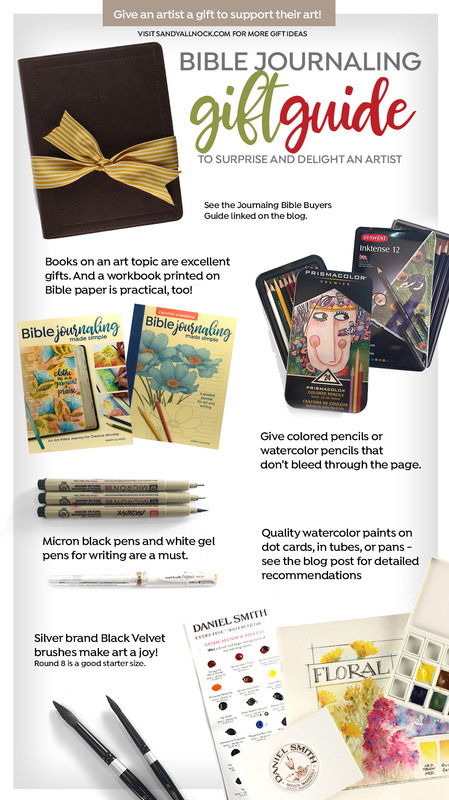 I’m a recent author – so Bible journaling is something I’m passionate about! 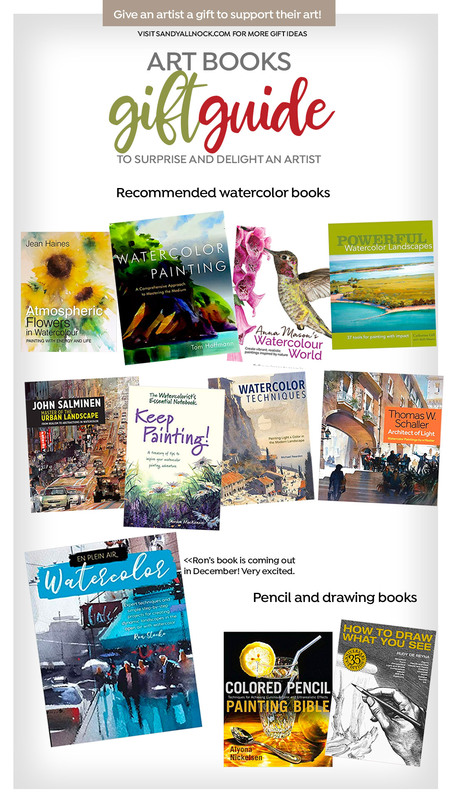 There’s a whole website about the book HERE – be sure to let your artist know about it, as there are many free resources they can access there! Colored Pencil Classes available at art-classes – if you want to give a class and not have them get the notification yet, order on Christmas Eve or Christmas morning. Or order as if sending to YOUR email address, then send them the gift card code later. 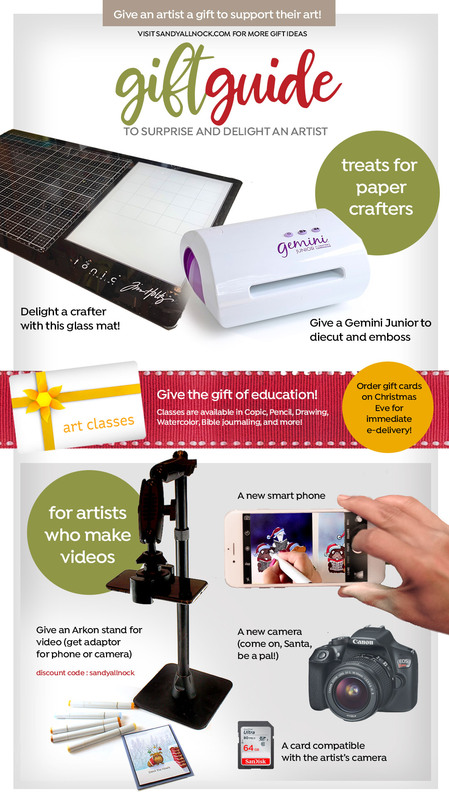 Glass Mat for crafters is a great gift! Available at Ellen Hutson. Gemini Junior is a diecutting and embossing machine I’ve used a ton in 2018 and can recommend! Available at Ellen Hutson. Arkon Stand – The Table Desk Stand is the one pictured; search the site for the right connectors and extenders based on the type of work the artist will be doing. (I attach THIS to the bottom of my camera.) There’s also a stand that clamps to a desk rather than having the flat stand; look around for the parts your artist will need. Use coupon code sandyallnock for automatic 20% off the entire purchase! New phone or camera – for the generous Santa to give. A new SD card compatible with the artist’s camera. 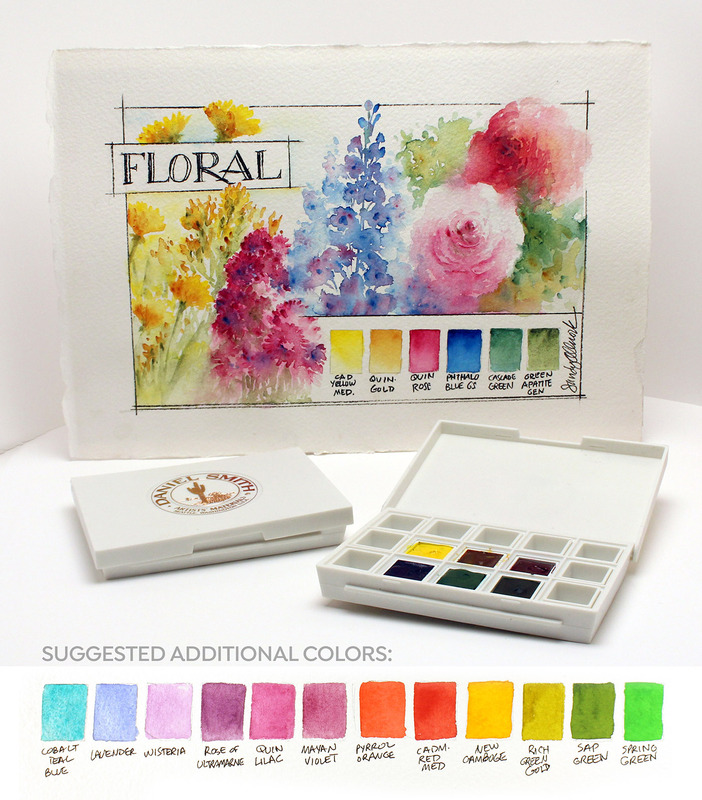 Watercolor Classes available at art-classes – if you want to give a class and not have them get the notification yet, order on Christmas Eve or Christmas morning. Or order as if sending to YOUR email address, then send them the gift card code later. Each of the sets is pictured below (pin them if desired, of course!) – and the colors are listed and linked below each one. Know that not all have every option that you may want to consider – but I tried to pick some interesting colors, and more than needed to fill in the palette. So pick out a few for a special treat for your artist! 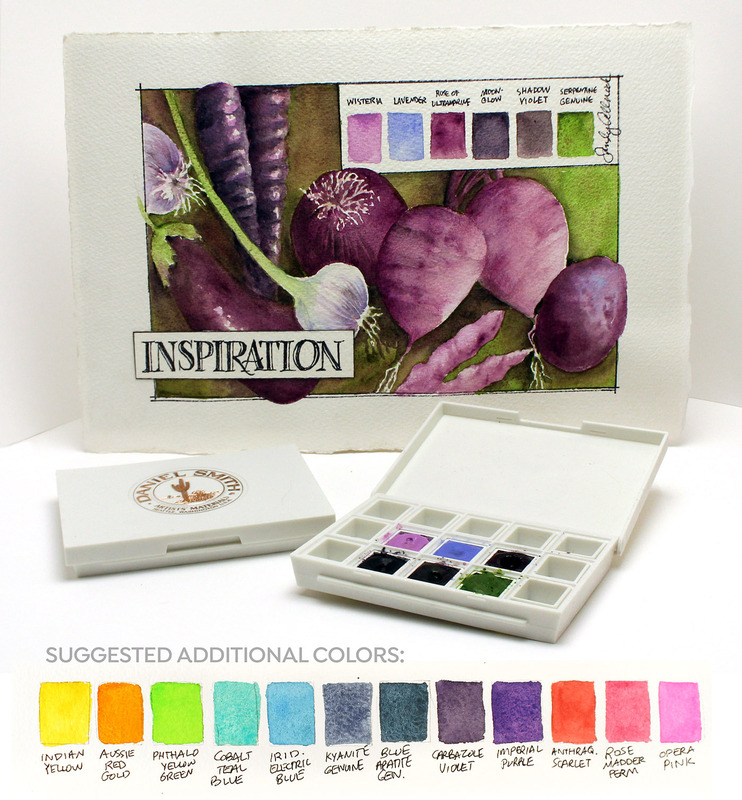 Colors of Inspiration set includes: Lavender (EH DB) Wisteria (EH DB) Rose of Ultramarine (EH DB) Moonglow (EH DB) Shadow Violet (EH DB) Serpentine Genuine (EH DB). My suggestions: Indian Yellow (EH DB) Aussie Red Gold (EH DB) Phthalo Yellow Green (EH DB) Cobalt Teal Blue (EH DB) Iridescent Electric Blue (EH DB) Kyanite Genuine (EH DB) Blue Apatite Genuine (EH DB) Carbazole Violet (EH DB) Imperial Purple (EH DB) Anthraquinoid Scarlet (EH DB) Rose Madder Genuine (EH DB) Opera Pink (EH DB) **NOTE: extra purples added to this list because if you’re a fan of the 6 colors included, you likely are a fan of purple! Blues set includes: Sleeping Beauty Turquoise Genuine (EH DB) Cerulean Blue (EH DB) Lunar Blue (EH DB) Indigo (EH DB) Sodalite Genuine (EH DB) Payne’s Blue Gray (EH DB). My suggestions: Buff Titanium (EH DB) Bronzite Genuine (EH DB) Raw Sienna (EH DB) Lunar Earth (EH DB) Perylene Maroon (EH DB) Nickel Azo (EH DB) Serpentine Genuine (EH DB) Green Gold (EH DB) Green Apatite (EH DB) Hookers Green (EH DB) Deep Sap (EH DB) Perylene Green (EH DB) . If you’ve read this far, a little treat will be coming: I’m redoing my dot card! I have to pick which kids stay and which will replace exiting colors. Yikes! Last but not least: art books! I have a growing collection of book recommendations that would make great gifts. 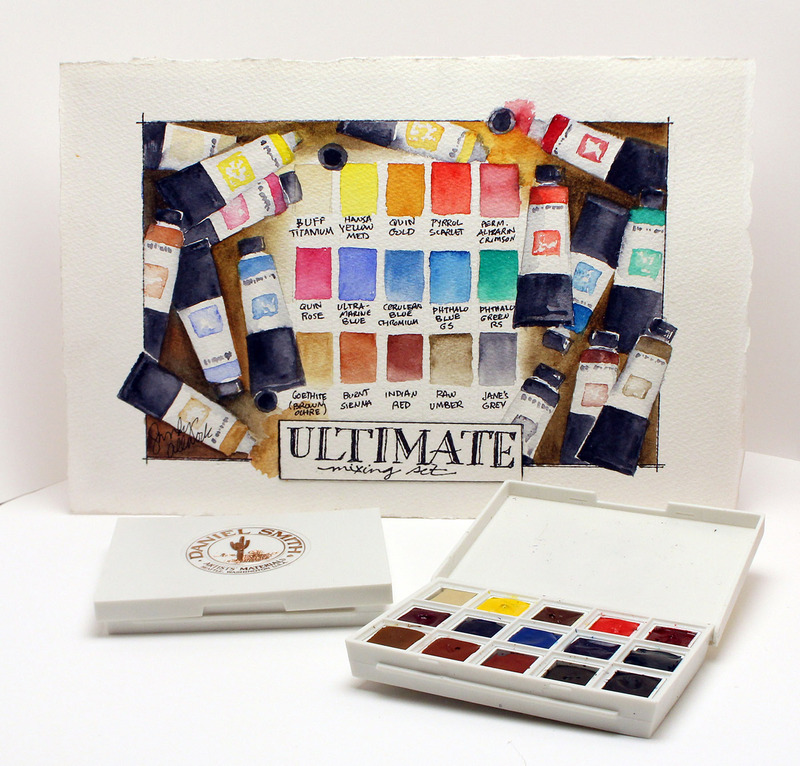 Gordon MacKenzie, The Watercolorist’s Essential Notebook – Keep Painting! WHEW! That might be THE single longest blog post ever written. Thanks for visiting! Great list! Now, can Santa please drop off a smidgen of talent to use many of these items? LOL! What a great post and video Sandy, thank you so much. I don’t think it’s for the Holiday’s only. I will use it also as a guide for buying things by myself and looking for similar products when they are not available where I live ( shipping out side the US is not always cheap). I will bookmark this page so everyone in my household can find it(LOL). Thank you so much for all your time and effort to make this great post and video. What a great idea. Thanks for providing your help with gifts ideas. Now I just have to show m th husband one post. Lol. Wow, Sandy! What a wonderful list for any artist to contemplate. 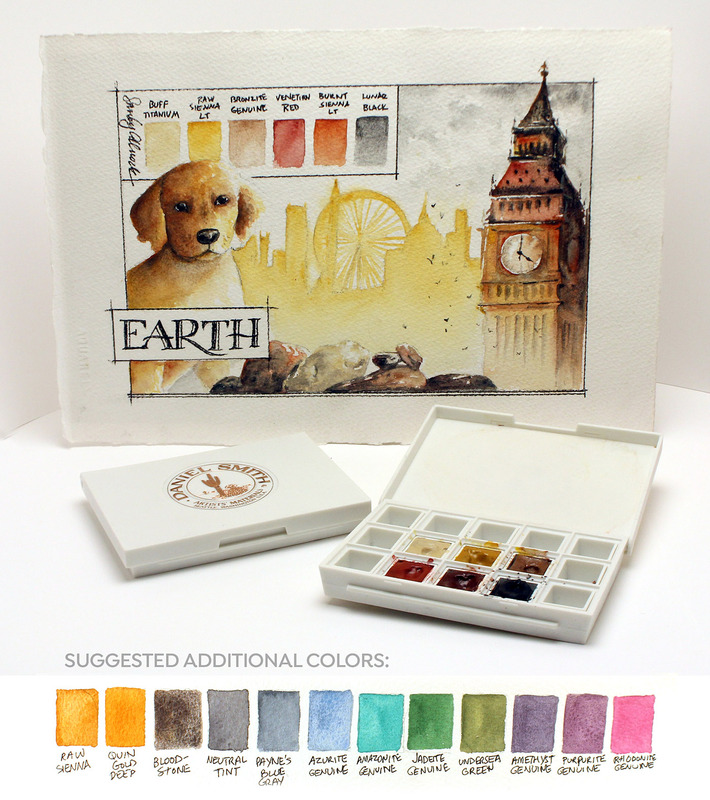 Thank you for spending the time to make all of this available for those who might want to give an artist a special gift but not sure how to choose. You have a hard job to make your DS dot card palette even better!! Nice list Sandy!! Santa can I have one of each? So many useful things, stuff that any crafter would want. 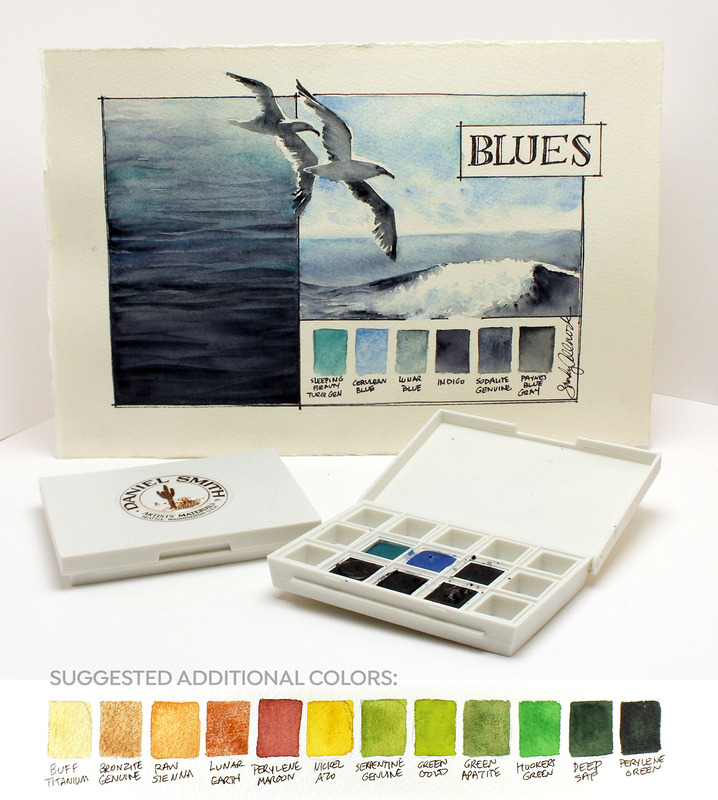 Awesome palette sampler cards – actually using the colors in a small piece is good way to get to know the colors and how they will work. They even have the colors blocked at the bottom. Your cards are such a wonderful idea. Thanks for the great post of ideas and information for gift givers concerning ‘gift getters that art’. You are full of good ideas! Happy Thanksgiving. Wow!! What an awesome list!! Thank you for taking the time to do that! How thoughtful you are and what a superb list! I actually found several things I want to treat myself to, so thanks so much for your effort in producing this and for your invaluable ideas. Thanks so much for being you! What an awesome list. I appreciate all the work you put into this. I am going to bookmark this to keep it handy not only for Christmas – but also for the year ahead! Thank you! This must have taken a long time to put together, but what great ideas. I suggested to my husband that he should watch the video, and he just told me to get what I want! Isn’t he sweet? I appreciate all the work you put into making this list, thank you! This is a great idea! I usually ask for a gift card to my favorite online supplier – but this year I can just forward this post to my kids! 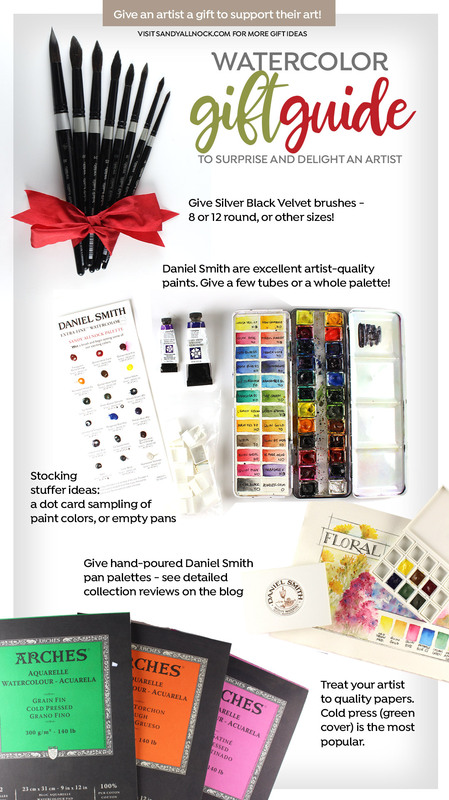 I’ve been very interested in the new Daniel Smith mini sets – but wasn’t sure which one to try first – this will be a great help! Also, thank you for your comments on “regular stuff” like papers, brushes, erasers, etc. This is also a great way for my siblings and children to get to know this “invisible friend” of mine who shows me how to make cool cards! Thanks again, Sandy, for all you do!